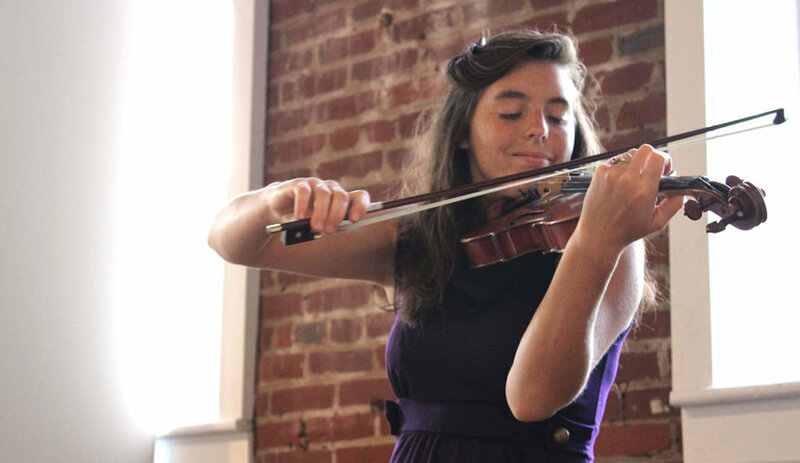 RIVERVIEWS ARTSPACE WILL BE HOSTING VIOLINIST, ELLEN MURCH IN CONCERT ON AUGUST 17TH. Mrs. Ellen Murch was just married this summer and moved from PA to VA. She had run her own music studio for three years in her home state of Pennsylvania. This year she will be the new music teacher at Cornerstone Christian Academy and running her own private studio Murch Music. A graduate of Grove City College, she plays multiple string instruments, and sings. Tickets can be purchased at the door or through the link below. No physical ticket will be sent to you. We will have your name on Will Call!